Now back in the UK, we have been taking stock of the adventures so far and revisiting the project with our lead sponsors Zsig Sport. At the Lawn Tennis Associations (LTA) National Coaches Conference I finally get the opportunity to meet Zsig Sports Managing Director, Jeff Williams and office assistant/coach ,Damien (above).I have spent a lot of time over the phone with both and it was great to put faces to the names and regurgitating many of the stories from the adventure so far. 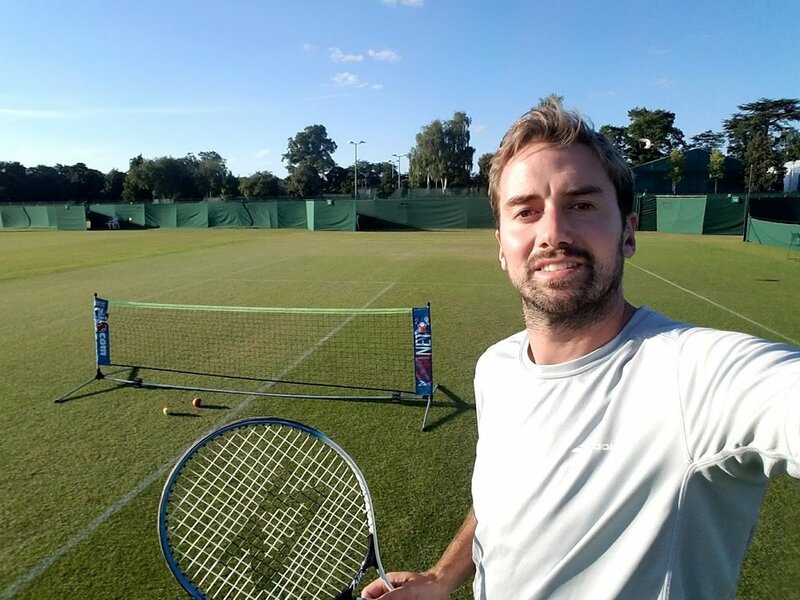 have spent 15 years working at The Championships, Wimbledon as part of the racquet stringing service, now run by specialist racquet sport accessory suppliers, Apollo Leisure. This year I was lucky enough to be able to revisit with a contractors pass and even get some mini tennis on the lawns (above) – cheeky. The next main task is working with Zsig Sports to organise the complicated process of getting the equipment packs shipped out to the locations visited through South/Central America and Mexico (above). We will then be looking at the feasibility of the next leg of the adventure – looking at Eastern Europe and SE Asia. More exciting updates coming over the summer as we look at booking flights!